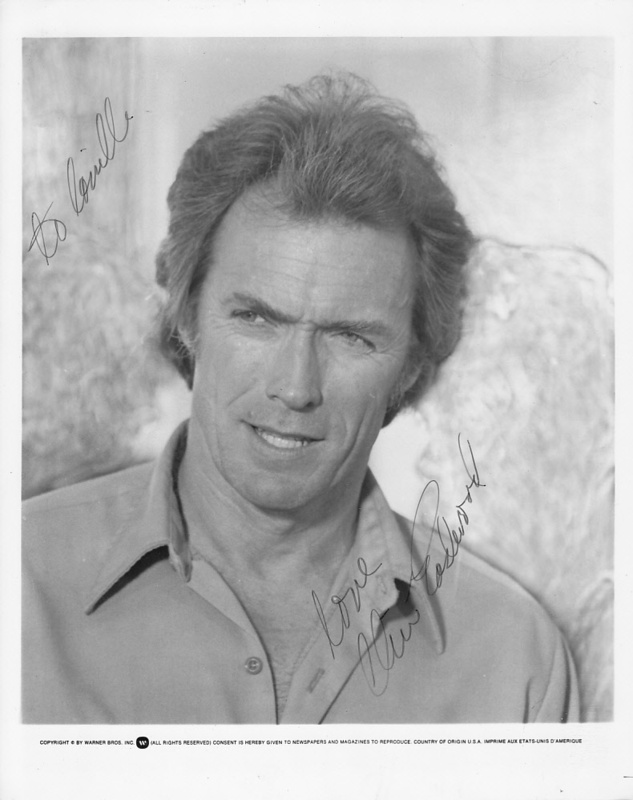 Clint Eastwood 8x10 black and white original Warner Bros publicity photo (undated but appears to be late 1980s) autographed in thin black marker and inscribed to Camille and love. 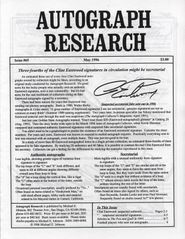 The back has some vertical marks from being stored in a photo album but overall is in excellent condition for its age. 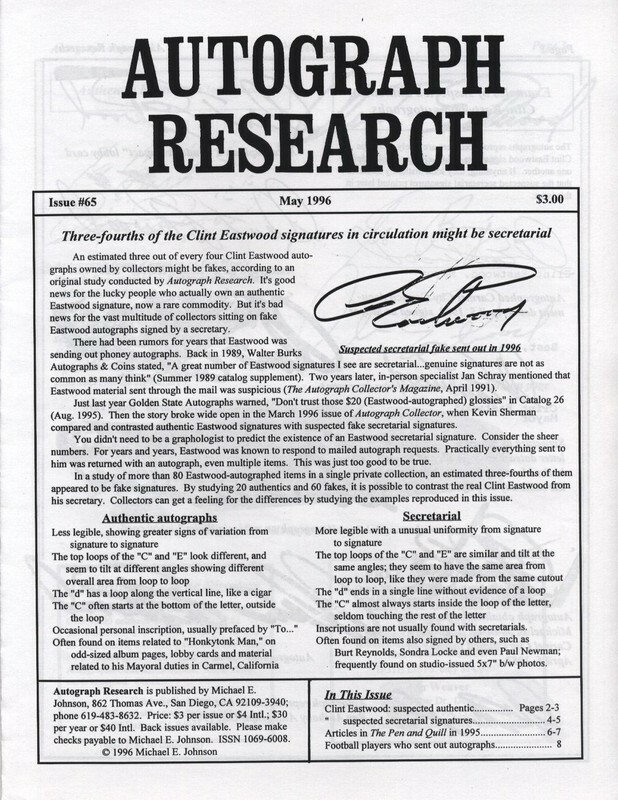 This is an older signature originally acquired through the mail; while most Eastwood mail signatures are secretarial signed, this one appears to be authentic based on extensive research conducted in 1996. With certificate of authenticity from AutographsForSale.com. ONLY ONE AVAILABLE FOR SALE.